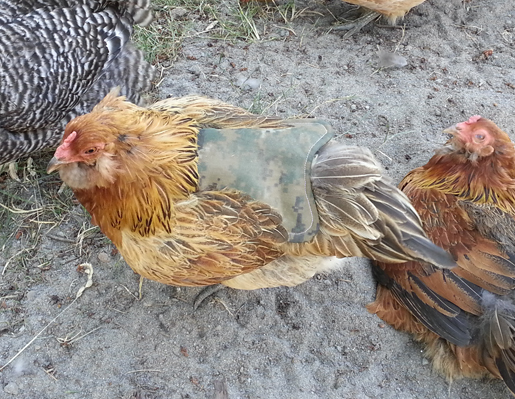 Yes, chickens do wear aprons! Just ask your friends who keep poultry in their backyards – if they don’t already have these for their feathered friends, they’ll want you to make some! 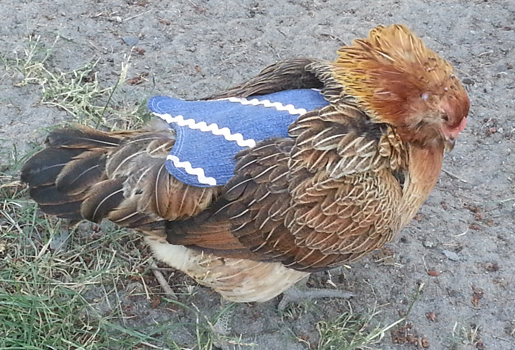 These bib-like garments – also known as hen saddles – cover their backs and protect them from being injured and/or having their feathers pulled out. 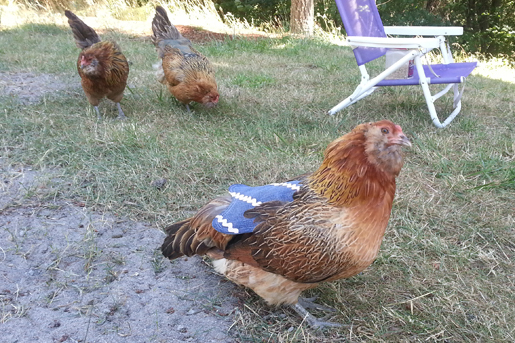 Make them in shades to match the fowls’ feathers, or have fun with bright novelty prints and trims for highly-visible garments that prevent wayward chickies from blending into the scenery. 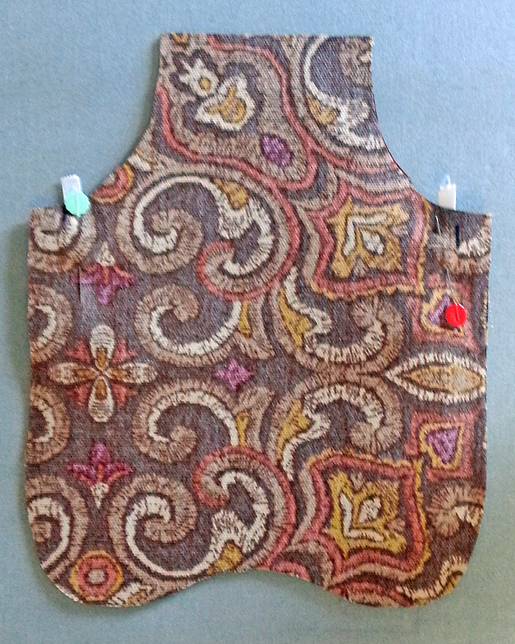 Simple to make, chicken aprons are a unique gift for your favorite backyard poultry farmer. 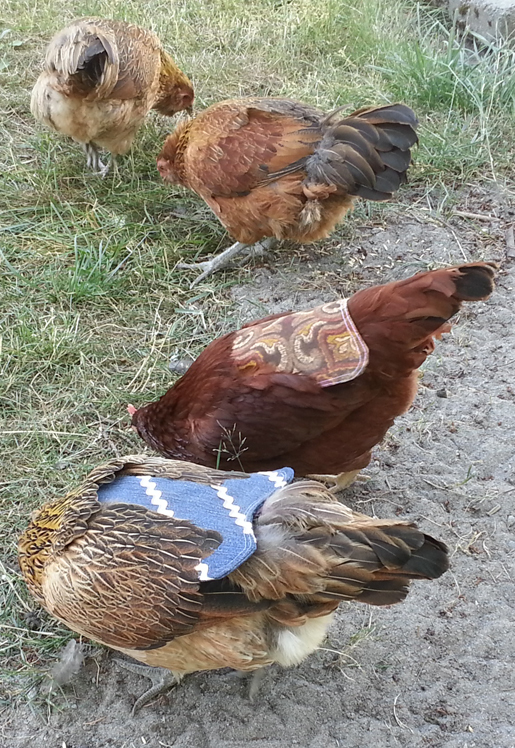 You could even use them to barter for fresh eggs! 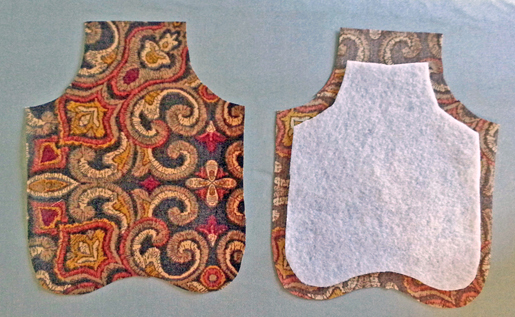 Using the pattern as a guide, cut two fabric pieces. Cut one piece of batting or heavy interfacing and trim away 1/2″ around the curved edges, and 1″ at the short straight edge. Place the batting on the wrong side of one fabric piece as shown. Bond with temporary fabric adhesive if desired. Tip: If trim will be used, apply it now before stitching the two pieces together. Place one fabric piece wrong side down (right side up) on a flat surface. Loop the elastic from one “armhole” to the other and pin the ends in place. 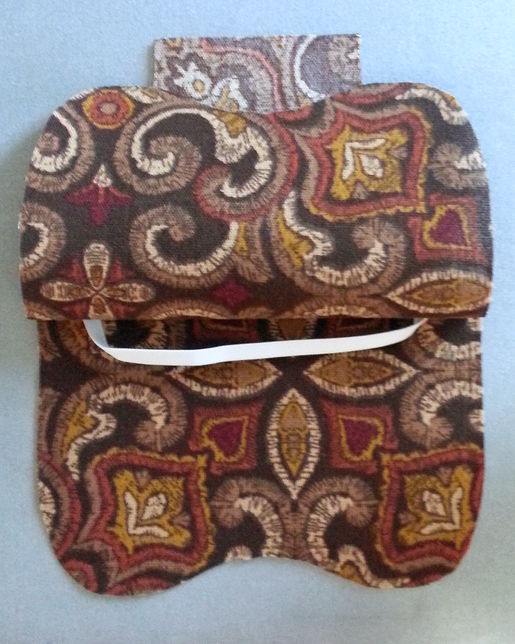 Place the second fabric piece on top, right sides together. Pin. 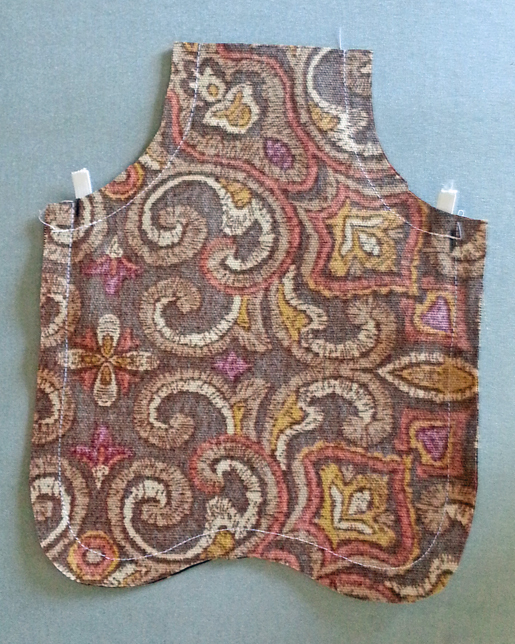 Using a 1/2″-wide seam allowance, sew along the curved edges as shown, leaving the short straight edge open. Edgestitch along the curved edges. Turn under 1″ at the short straight edge, wrapping the elastic to create a casing. Stitch close to these edge, taking care not to catch the elastic in the stitching. 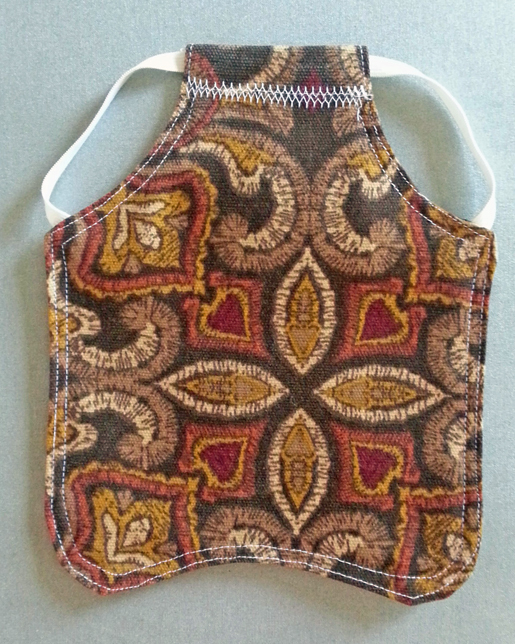 Add a second row of stitching approximately 1/4″ from the edgestitching if desired. Do not stitch into the elastic casing. A word of caution: Do not use fabric of a dark pink or red color. 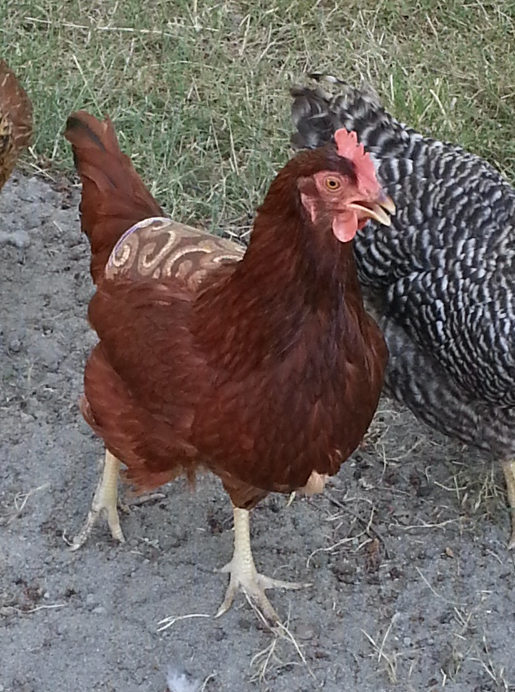 Red attracts other chickens and triggers the cannibalistic behavior of pecking. This is why the aprons were devised in the first place, to protect any individuals who have been victimized or to try to put a stop to the behavior in a flock that has developed this trend. The only modification I made to this pattern was to use snaps on the ends of the elastic to make it easier/less traumatic to put these on.